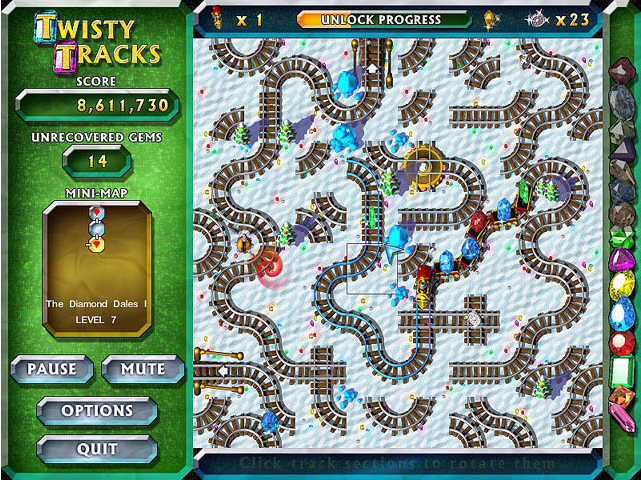 Twisty Tracks is a charmingly whimsical game! 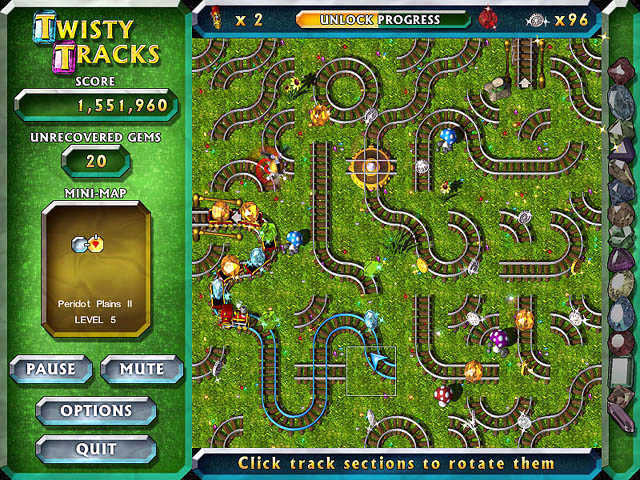 Twisty Tracks Game - A mighty windstorm has scattered your treasure trove to the far reaches of the world! Guide your train across the vast Realm of D'roso to recover every last gem. Rotate track to keep your train on the right path, and keep an eye out for those devilish Dervishes! Deliver recovered gems to your treasury via magical depots. Mahjong for Pocket PC - Pocket PC Mahjong Solitaire game with 50 layouts! Atomica Deluxe - It's a Puzzle Meltdown Atomica Game ! the new deluxe Atomica Game is more exciting than before ! Aqua Bubble 2 - Aqua Bubble 2 is amusing with four game modes (Arcade, Panic, Puzzle and novative Recolor) . Arkanoid 4000 - Classic arcade Arkanoid Game with a big bang and post-modern design ! Cartoon Solitaire Game - the most popular and interesting kids Cartoon Game, Matching Game, Cartoon Solitaire Game. Big Balloon Blowout - Balloons, clowns, and cartoon buzzards....what more could you want? Big Balloon Blowout is just for you !